Souq.com, a leading online retail and marketplace in the Arab region, has announced 'Tech Bazaar' online sale that will offer exciting deals to customers. The sale will take place until October 6, Souq.com said. Customers looking to upgrade their personal devices will be able to enjoy incredible deals on the latest and bestselling mobiles, laptops, TVs, cameras, headphones, games, accessories and much more, it said. Moreover, customers using an Emirates Islamic credit card will enjoy an additional 10% off. 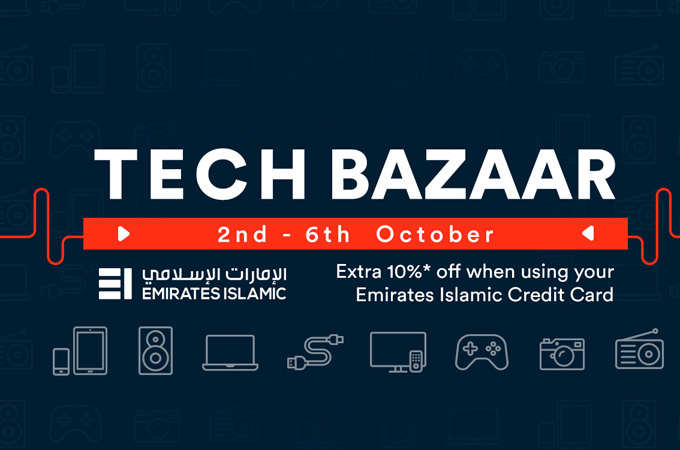 Customers who spend a minimum of Dh1,000 at Tech Bazaar can pay in installments at 0% interest rate (terms & conditions apply).